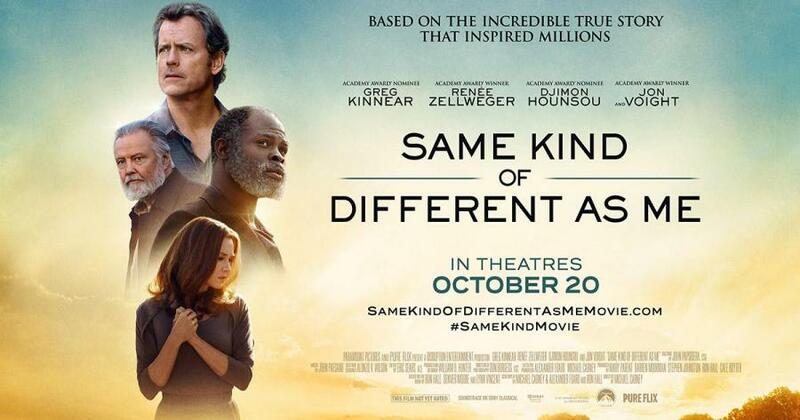 Join us at the Madison Senior Center to view Same Kind of Different As Me (2017), starring Greg Kinnear, Renee Zellweger and Djimon Hounsou. Based on the inspiring true story of international art dealer Ron Hall (Greg Kinnear) and his wife Debbie (Renee Zellweger) seemingly have the perfect life. But when their faith and family are tested, an unlikely bond with a homeless drifter (Djimon Hounsou) leads them on a remarkable journey that forges an everlasting friendship. Drama. Rated PG-13. 119 minutes.